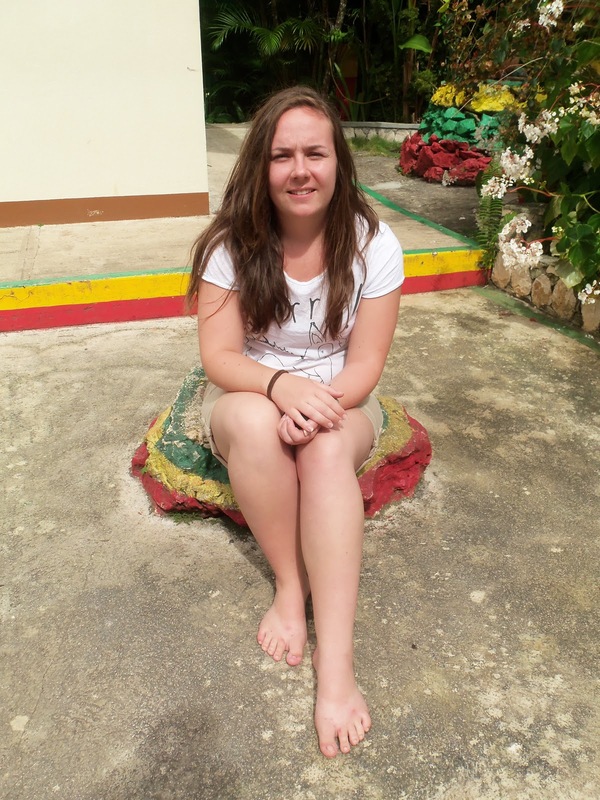 I had organised a few weeks before to work at Bethel Court Guesthouse in Montego Bay. When I arrived I was welcomed by the extremely friendly owner Steve and he explained what he would like me to help him with. I would work for three hours in the mornings from Monday to Friday, advertising the hostel on different websites, in exchange for a free bed each night. I stayed at Bethel Court for around two weeks and met so many awesome people from all around the world. The place was jam-packed some days, but without fail Steve always found somewhere for each traveller to sleep. 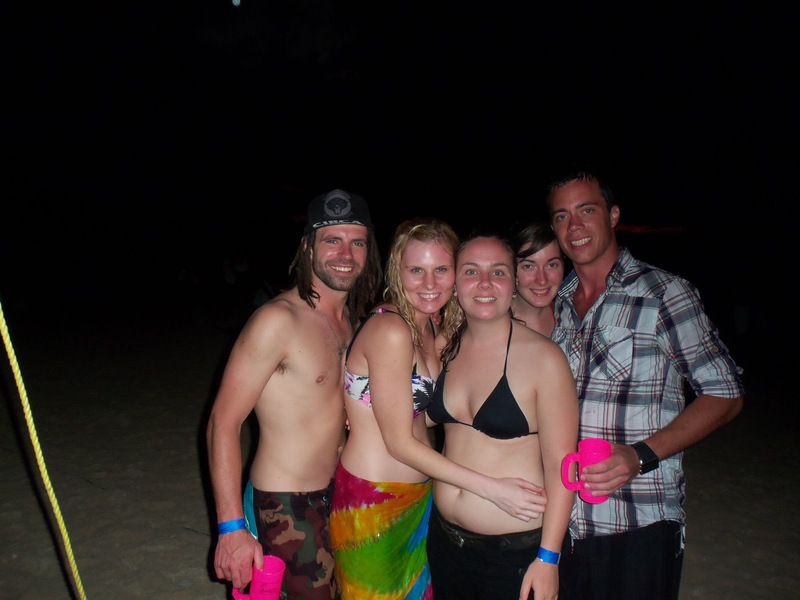 Most days everyone would meet up on the beach and party at night - a pretty cool way to spend our days! Saturday 22nd we packed ourselves into two minibuses and went on a day trip; most of which consisted of driving along the windy roads through the mountains listening to FULL BLAST dancehall music. Our first stop was the Bob Marley Mausoleum - the birth and rest place of Bob Marley in "9 mile" village. 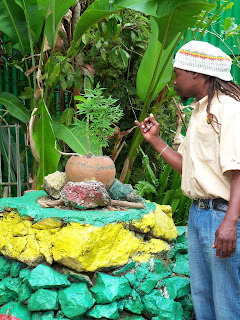 It was a really interesting trip and opened my eyes a little more to the Rastafarian religion. It was originally based on Christianity and has developed a few different ways of practising spirituality. In general, they are very peaceful people. If you listen to Bob Marley´s lyrics in many of his songs, you can get an idea of the thoughts and beliefs of the Rasta people - one love/one people. 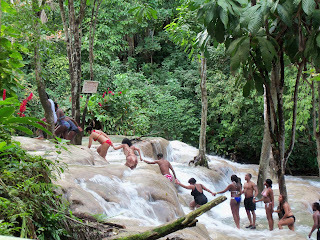 ﻿﻿﻿﻿The next part of the day trip was a couple of hours later, this time listening to two whole albums of 50 Cent, arriving in Ocho Rios to climb up Dunn´s River Falls. This place is milked of every last drop of amazingness it has all for tourism, but it was very good fun all the same. The long drive back to the hostel filled our ears with yet more FULL BLAST dancehall, and sure enough everybody´s ears were ringing that night. The following day was Sunday, which meant BEACH PARTY!!! 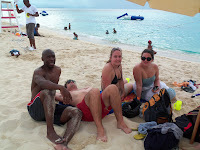 Everybody from the Bethel Court spent the day sunbathing, playing volleyball, joining in with all the games, and drinking an unlimited amount of alcohol for just 600 Jamaican dollars (around £5). 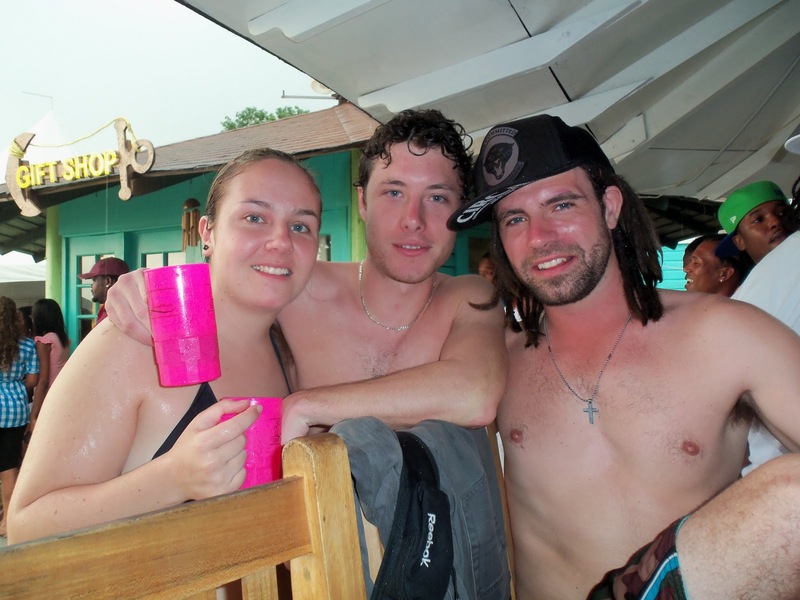 It rained heavily for about two hours but that didn´t stop us - we spent the time out in the Caribbean Sea on the floating trampoline! It was the coolest day ever and I remember thinking that I hadn´t stopped smiling the entire day. ﻿﻿Everybody has heard about the beautiful all-inclusive getaways in Jamaica: unlimited food, drinks, sun, sea, sand, entertainment. 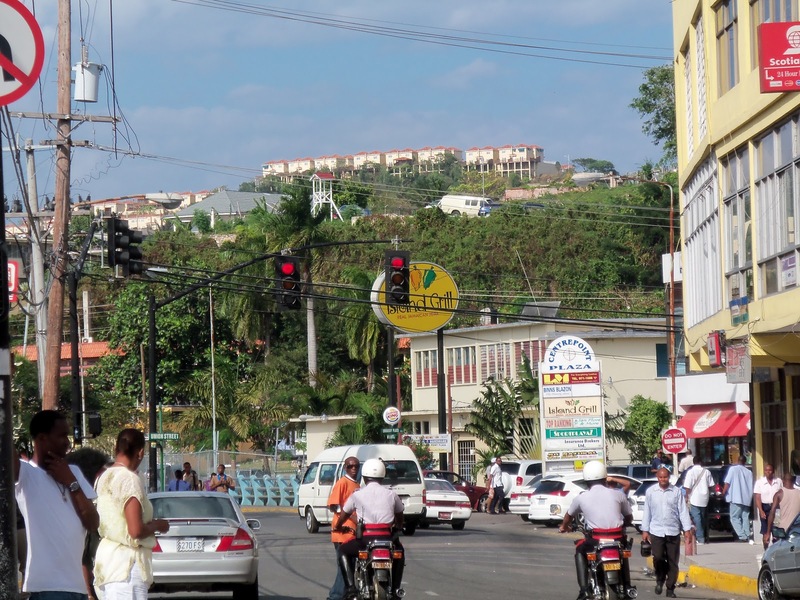 They are all located a few miles away from downtown Montego Bay, a tax-free area therefore perfect for the resorts to make a lot of money. 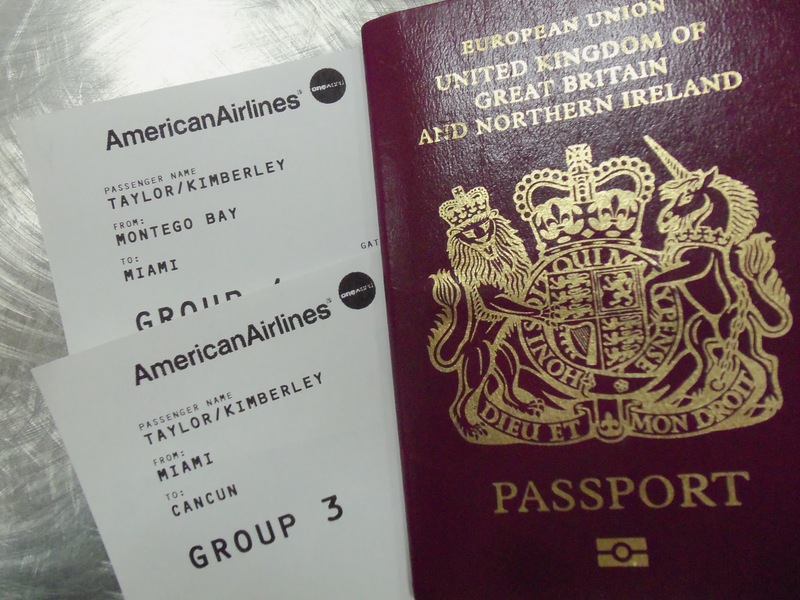 Why would you need to leave an all-inclusive resort? Walk down a deserted dirt track for a mile or two (this is why everybody believes it is dangerous outside - it´s just a trick of the mind!) and you can experience the real Jamaica. The beaches outside the resorts are just as beautiful, the food is (much cheaper) authentic Jamaican cuisine, and you can get a tan from a better sun. Ok the last one is me just trying to convince you. Above all this, the main reason I believe tourists should leave the resorts is to spread the wealth to the country and no to the resort owners. Who on earth wants to make the rich richer?! 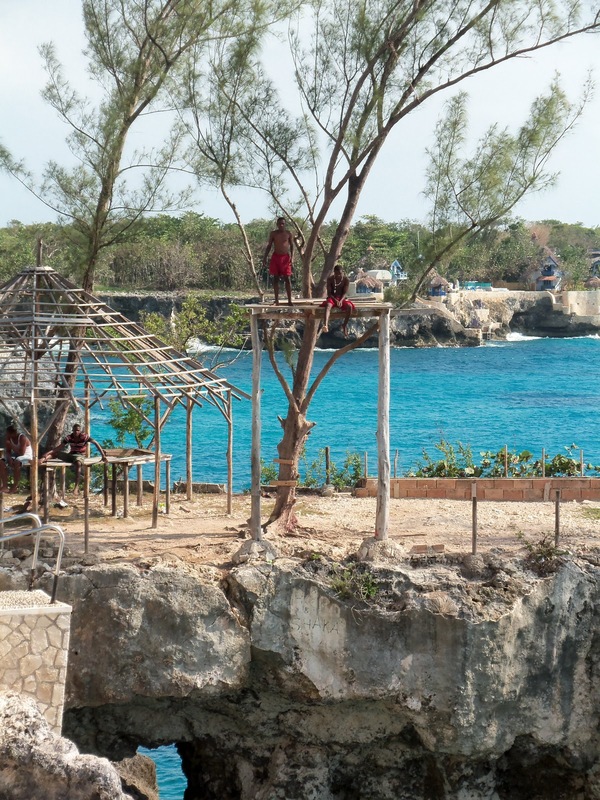 If the travel companies didn´t convince the world that Jamaica is so dangerous then it would really help the country that is so poverty-stricken. A country with such a strong, fascinating culture and with so much to offer to everybody. 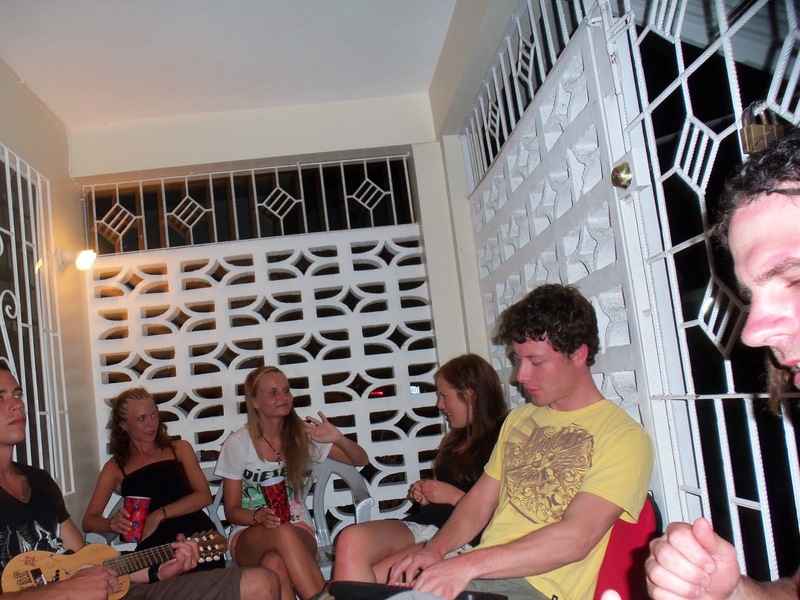 Over the next couple of days the original gang began to gradually leave and the hostel got quieter, but soon enough more people turned up and the days on the beach and nights in the clubs continued. One night particularly stood out as a crazy one. It was Thursday and it was ladies night. A dance competition part-way through the night really got the party started. This video (which I will add when I can get to a better computer) is of the girl who won the competition in the end and for some reason she was attracted to our group and danced with us for the rest of the night. I busted my dancehall moves as well as I could but my Britishness showed through just a little I think! ﻿On Saturday I caught a bus to Negril and walked along the famous seven mile beach. To be honest, I didn't see why people were so attracted to it...it was just hotel after hotel along a very long beach. I got a taxi up to "Rick´s Cafe" where you can watch locals dive off the cliffs to the side. Tourists were allowed to dive too but I didn't think it would be that wise...doing a belly-flop from that high up wouldn't be the coolest moment of my life! My last Sunday in Montego Bay and a few people from the hostel and I decided to go to the church across the road. The church-goers were enthusiastic to say the least! Singing and dancing and shouting "Praise the Lord!" and "Hallelujah!" was a common trend. One of our favourite songs went something a little like this: "Jesus you´re excellent, you´re excellent! You´re excellent Jesus, you´re excellent!" Add some groove and some boogying and guaranteed you will have a good time. There were a few baptisms of people of all different ages too. One woman got really emotional when she explained to the church why she was getting baptised so late in life. She said she always thought that she would fully commit herself to God when she felt her life was stable. But one day, whilst reading the bible, she realised that everybody needs help through each step of their life, not at the end when everything was already sorted. I think this is true for many people, but most don´t accept that they need to stop being stubborn and make that change in their life. Everybody thinks they can do it alone. I´m no exception either! The last day of the month and my last day in Jamaica. I wandered around downtown taking the pictures that would remind me of my time in Montego Bay. Since I already stood out a mile with my camera, I thought I would make myself look even more like a tourist by getting an ice-cream. By this time, I felt ready to leave. I was very sad to say goodbye to the country I had learnt to love over the past few weeks, but I was also looking forward to the next part of my adventure...Mexico!